Old and damaged gutters are not uncommon across Brisbane. Fortunately, the team here at Strongguard has the solution. We offer a comprehensive range of gutter repair Brisbane services. With extensive knowledge and experience, we have what it takes to bring your gutters back to their best. We can repair your gutter if it has sustained damage as a result of storms, hail, accidental damage and even vandalism. There’s almost no gutter repair that is too big or small for us. We even have experience repairing gutters that have been hit by trucks or caravans! 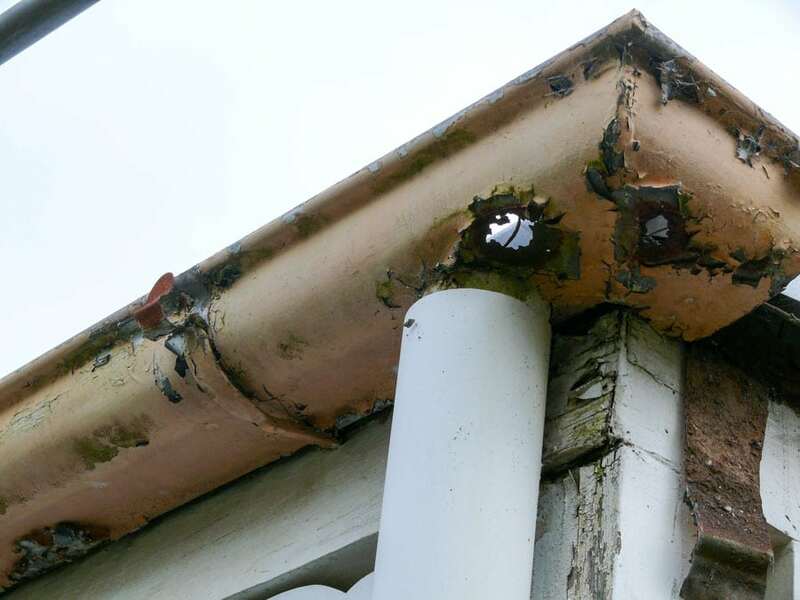 Our team can work around your existing guttering and provide targeted repairs for the damaged sections. We have a wide range of profiles on offer, which means that we can always match your gutter’s profile with our repairs. Our industry connections allow us to provide the best materials for all repairs. Gutter repairs vary in nature depending on the damage your gutters have sustained. That’s why, at Strongguard, we offer a wide range of services. We even undertake Brisbane gutter repairs for insurance companies that offer storm and accidental damage policies. Our team can also repair gutters where damage is not an issue, but poor installation is. Gutters must be installed with correct pitch and fall. If they are not, then the gutters won’t work properly. Fortunately, we specialise in installations, so we know exactly how to diagnose poor installations and correct them. With over twenty years of experience, we have strong connections to suppliers in the industry. This means that we can source the best materials to repair your gutters. We will match the profiles and use only the highest quality goods. When we install your guttering, we work under the highest safety guidelines. With our equipment, we can access damaged gutters at any height. In addition to this, we are experience when it comes to working on gutter repairs for multiple occupancy buildings. When it comes to Brisbane gutter repairs, matching the right repair with damage in question is essential. Gutters can sustain damage in many different ways. This means that we need to make sure our solutions match the problem. To do this, we begin by carefully assessing your damaged gutters. This allows us to source the correct materials and develop a tailored gutter repair solution. Once this has been done, we can begin work. To deliver the best gutter repairs, we have to be able to access your gutters safely. Because of the height of guttering, there are strict rules governing the way we do our work. These rules are designed to make sure that we are operating safely. To meet these rules and access your damaged gutters, we have specialised equipment. This includes booms, scaffolding and elevated working platforms. Once these are set up, we can safely and easily work on your gutter repairs. There are many fittings and features of your guttering that might be damaged. Some of the most common repairs we do include joints, corners and sections of gutter. Often, the seals in the joints and corners of your gutters deteriorate or are applied incorrectly in the first place. If this is the case, we will re-seal them. If sections of guttering are damaged then we will replace them. In some cases, the fixing and brackets themselves are poorly installed. In these instances, we will repair them and re-secure the gutter. Sometimes, we have to install additional downpipes to guttering systems. In older homes particularly, there aren’t enough downpipes to adequately drain the gutters. By installing new ones, we can take a lot of strain off your gutters and ensure that they work at their best. Once these final touches have been added, we will clean up after ourselves and leave your property exactly as we found it (except with much better gutters). Has your gutter been damaged lately? If so, then you should contact Strongguard today. We offer gutter repairs to suit all types of damage, including accidental damage, storm damage and even vandalism. We have all experience necessary to deliver the best gutter repairs Brisbane wide. Our aim is to repair your gutter to a standard better than ever before. To get in touch, just call our office or contact us via our online form. #1 A truck has driven into my gutter – can you repair it? Here at Strongguard, we understand that different types of damage require different solutions. For this reason, we offer extensive gutter repairs to suit all circumstances. If a truck has driven into your gutter, then the damage is likely to be quite extensive. Fortunately, we have a great deal of experience repairing damage of this nature. Over our twenty years of operation, we have developed a rapport with our suppliers. This means that we have access to an incredibly wide range of guttering materials. We can source guttering that is identical to your existing guttering. This allows us to replace the damaged sections in a way that integrates seamlessly into your current guttering. We can also source replacement brackets and fittings if they have been damaged. Our team has what it takes to fix all types of gutter damage, so your job won’t be a problem. #2 My gutter fell down in a storm – can you fix it? If your gutter has fallen down during a storm, then you might require one of several solutions. The exact nature of the repair will depend on how badly the gutter itself has been damaged. In most cases, gutters that fall down are not too badly damaged. The problem is mainly with the installation of the gutter. For our team, this is an easy fix. We will simply reinstall the guttering that was knocked down during the storm. Once reinstalled, we will seal all the joints and corners, as well as refastening the gutter. This means that it will be in better condition than it was before falling down. If the gutter has been badly damaged or bent when it fell, then you might need a more comprehensive repair. If only a small section of your guttering has fallen and been badly damaged, then we can replace it. Our suppliers offer us a very wide range of guttering designs and profiles. This means that we can match a replacement with your current guttering. This will ensure that it looks great and works well. If a very large proportion of your guttering is damaged beyond repair, however, replacement is the only viable option. But don’t worry – the team at Strongguard can help you with that too. #3 My commercial gutter is leaking – can you fix it? Here at Strongguard, we understand that commercial guttering is usually a lot different to domestic guttering. The most common form of commercial guttering is a box gutter. When it comes to fixing these, our team are experts. We have over twenty years of experience repairing commercial and domestic gutters. That means that we have all the knowledge and experience necessary to deliver the best gutter repairs. In addition to this, we have specialised equipment that allows us to access gutters at any height. This is handy in commercial repairs, as most commercial buildings are very high. 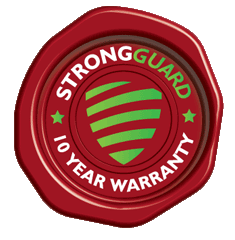 With Strongguard, access to your gutters is not a problem. When we perform repairs on any commercial gutters, we aim for efficiency. We want to minimise any inconvenience to your business, so we will work with you to deliver fast, effective gutter repairs. 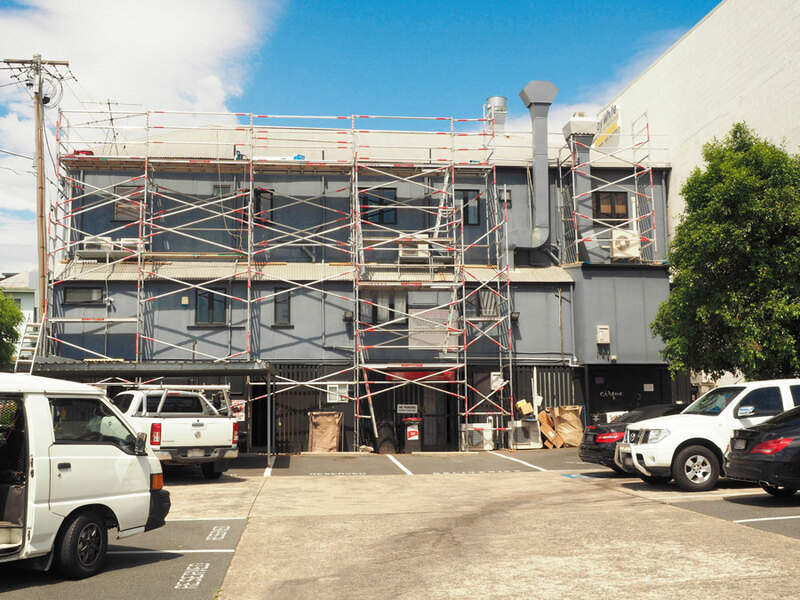 Regardless of what type of gutter your commercial building has, we can repair it quickly and to a high standard of quality. #4 My gutter is holding water – can this be repaired? Here at Strongguard, we specialise in identifying and diagnosing problems with your gutters. If water is pooling in certain areas of your gutter, then there are a few possible causes. In some instances, this might be a sign that you don’t have enough downpipes. If this is the case for you, then we will assess your gutter and install an extra downpipe to drain the affected area. In situations where this is not possible, we may need to replace a larger section of your guttering. This allows us improve the falls of your gutter. The fall of your guttering basically determines how effectively it drains. 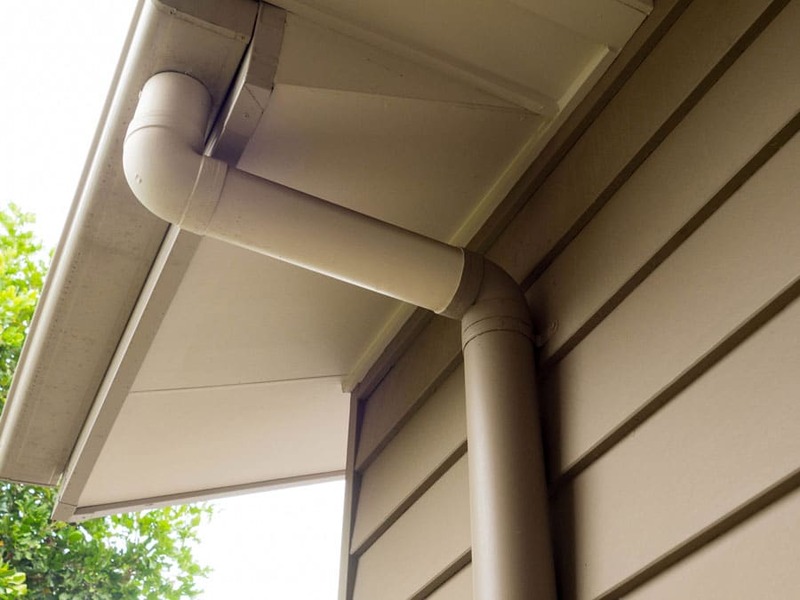 With a corrected fall, your gutter should stop holding water.